Looking for a set of rims which could make the appearance of your Ford Mustang more unique and set it apart from the rest of ordinary cars that you meet on the roads daily? Varro knows exactly what you need. Being one of the world’s leading manufacturers of the high-end luxury and performance wheels in the industry, Varro has managed to create the finest quality wheels that deliver an unparalleled driving experience. Each rim by Varro is made to fit the specifications on your car precisely and is manufactured from high-quality aluminum using special innovative technologies for excellent reliability and years of smooth driving. We welcome you to take advantage of our freshest promotional offer on Varro rims! 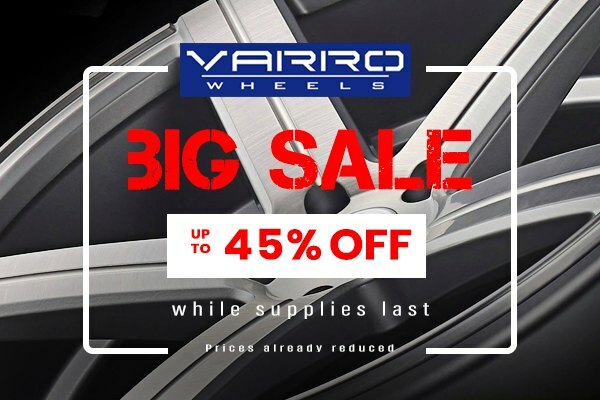 Don't miss your chance to save up to 45% off the original price on a complete set of Varro Wheels. Click on the pictures below to view more Rims by Varro. This offer is valid while supplies last. Prices are already reduced. More wheel offerings with the latest most aggressive design suitable for your ride, as well as more Ford Mustang tires options can be found on our website, head over at CARiD.com to check them all out.